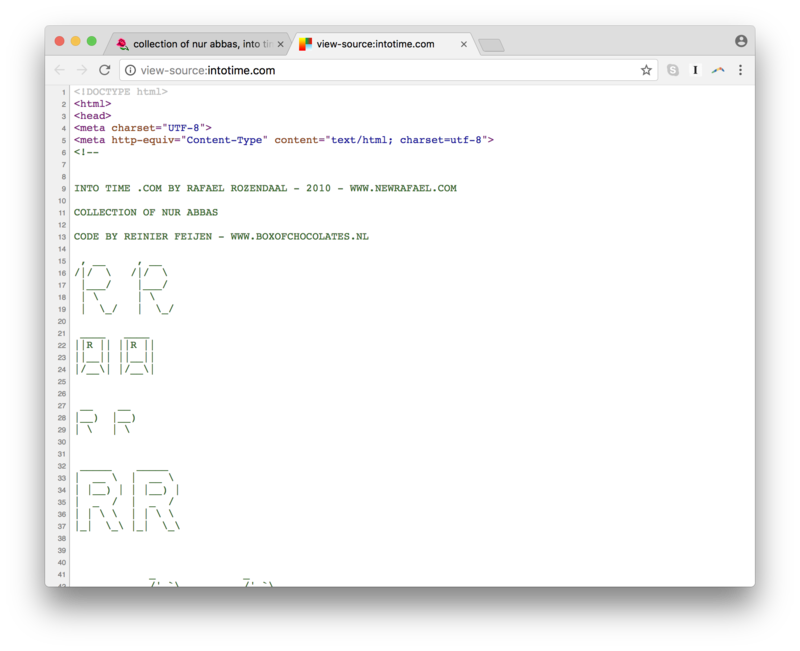 into time .com is one of more than 100 “single-serving” websites created by Rozendaal, each of which offers a simple, usually interactive experience that fills the browser window and bears a dedicated domain name as its title. 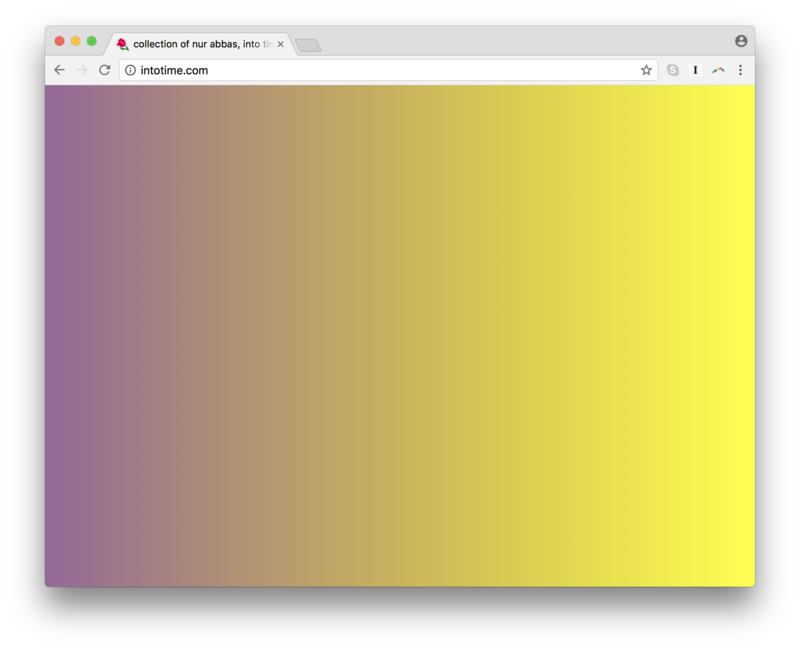 This approach, honed in the early 2000s as part of the “Neen” movement, has allowed Rozendaal to compile study after study of the browser’s potential for aesthetics and play. into time .com represents one significant moment within this years-long investigation. Rafaël Rozendaal, into time .com, 2010. Most of Rozendaal’s early works were poppy, graphical sites organized around a visual joke; cartoons were an important source of inspiration. These works often prompted users to perform tasks that were stripped of their usual meaning or function. Thus, they framed interaction as a gesture or experience in its own right, rather than simply a means to an end. on and off .org (2003). Some works were partly abstract, but retained representational elements, such. In contrast, into time .com delved into total abstraction, as a pure arrangement of time and space. 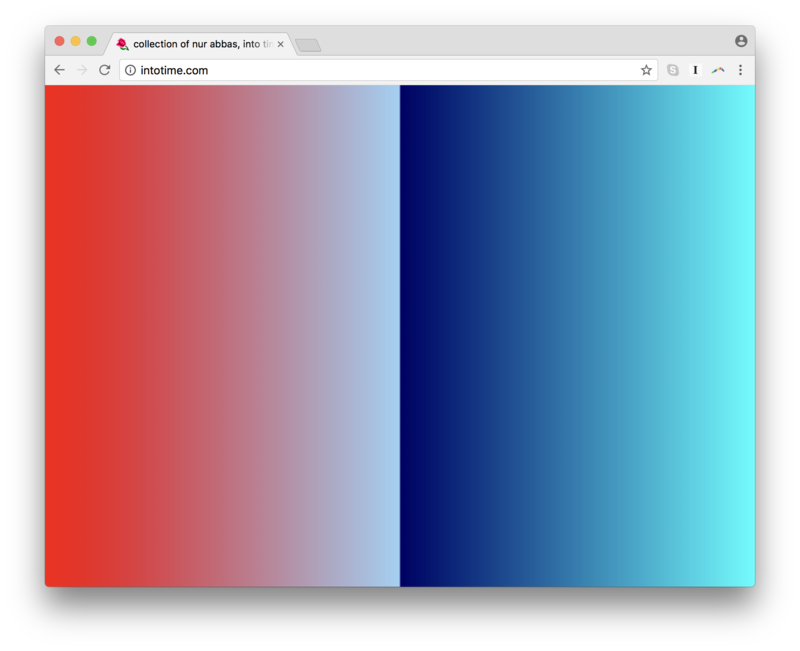 into time .com fills the browser viewport with pulsing gradients. Points on the left and right side of the screen cycle through color values, which are randomly chosen from a list, with a gradient calculated between them. When the visitor clicks, it divides the screen, and a new gradient is added. 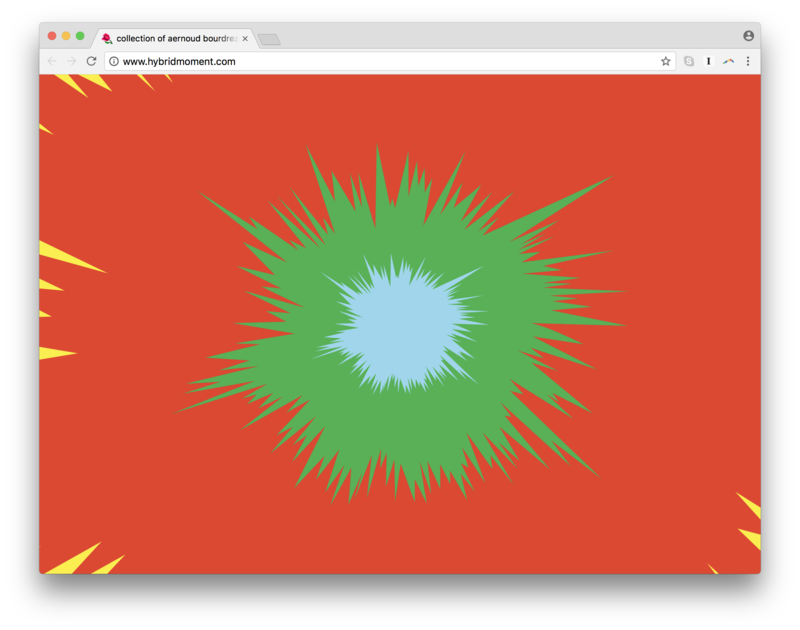 This simple set of rules can be used to generate a seemingly endless number of potential images. The work is participatory in that the visitor is crucial to its completion. 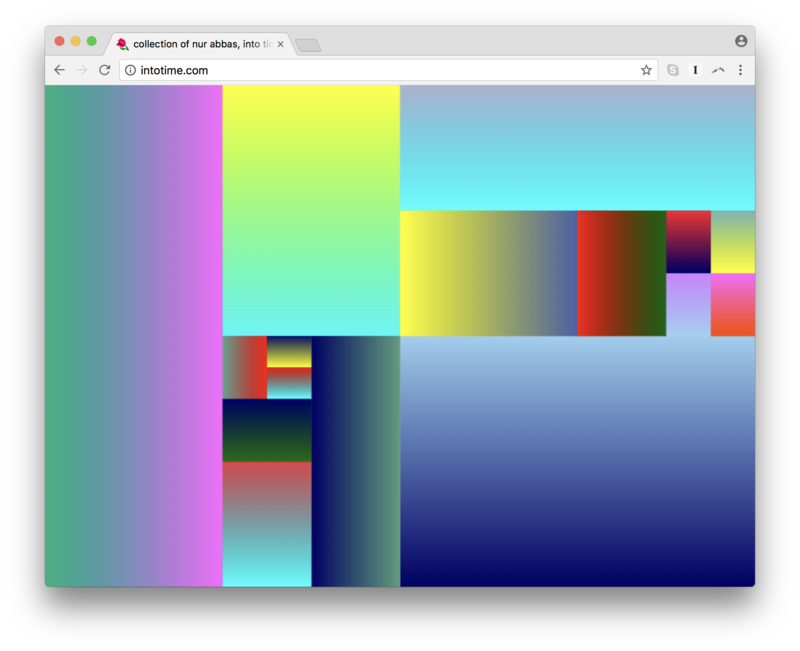 By clicking on the work, visitors create their own compositions. 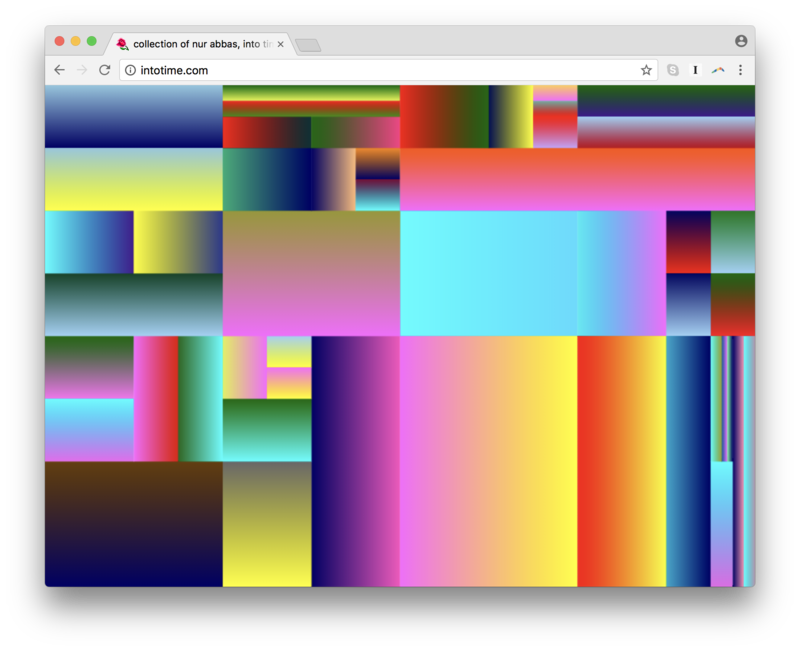 into time .com reflects Rozendaal’s interest in the internet's effect on the distribution and reception of artworks. 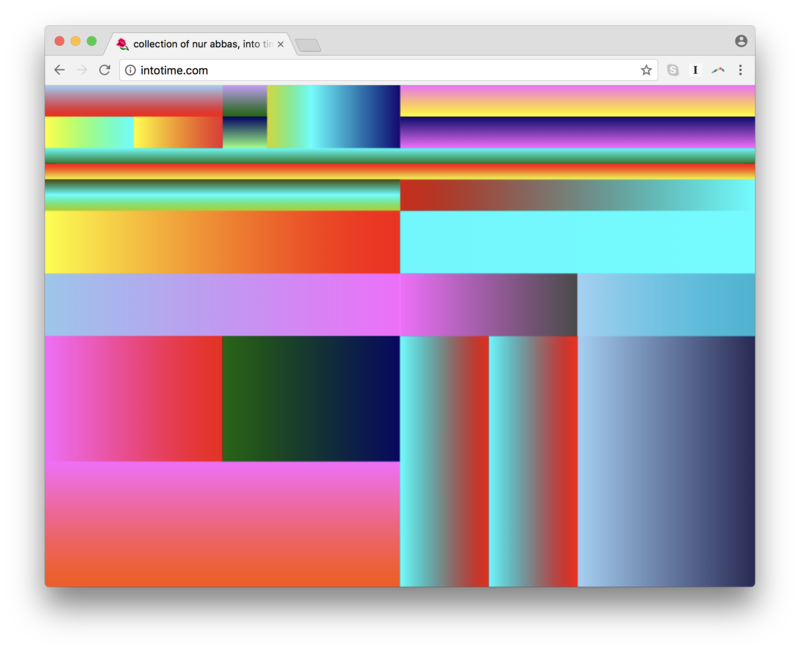 Browser-based artwork complicates the idea of an artwork as a unique object to be viewed in a specific time and place, and the value it derives from this condition. Rozendaal considers his works to be adaptable to a wide range of formats and contexts. He has transmuted into time .com and other works into physical installations, works on paper, and lenticular objects. 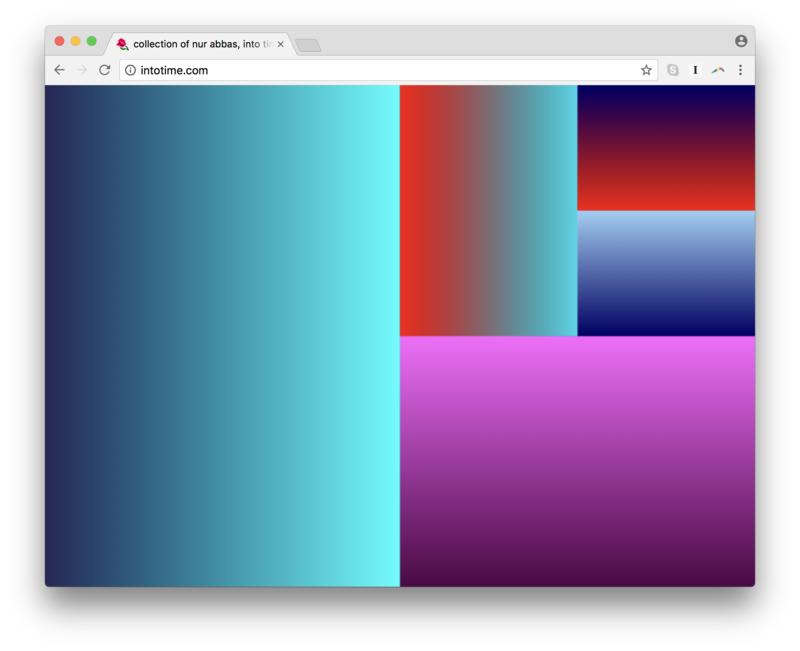 All screenshots made in Chrome 62 for Mac.